positvenegatives has no other items for sale. Canon FD Lens to Canon EOS R RP Mirrorless Camera Adapter "US Seller"
I will not ship to unconfirmed international address! The Nikon 50 1.4 Ais represents the transition from classic to modern. 50 years of Nikon technology is here... from lens development through coatings through rugged. This lens was built for professional use. It will work on the very 1st Nikon F camera body and most every camera through a new top of the line Nikon D5. And, it will work on all the new mirrorless cameras. 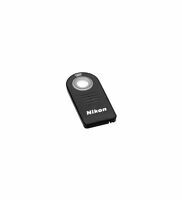 It is the perfect street lens that will capture every conceivable lighting condition. Does it have a weakness? Yes, it is manual focus and difficult to use for fast moving action shots. But then again, sometimes blur fits the moment perfectly. I love this lens. I can get really sharp focus, I would say noticeably more than with a "kit lens". With a wide aperture, you also get beautiful bokeh blurring of objects that aren't in focus. It takes a little practice to get used to the manual focus, but in my opinion this is worth the savings compared to buying a brand new lens. ($$$!) Very happy with purchase. I loved this lens (the SC version) when I got it for its bokeh but then it was stolen. It worked well on my Canon DSLR with a glassless adapter. Ohhhh spinning the focus wheel was the ultimate stim toy -- better than any fidget cube. Now I have the AI version which I can use on both my Canon digital and my Nikon N90 film camera I acquired recently. Did I mention the focus ring is a delight to turn? 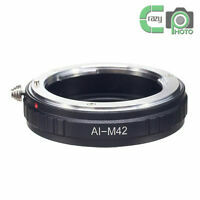 An excellent prime lens for the Canon 5DMII for still and video images. This purchase was for a video film project planned by my daughter using my Canon 5DMII. It's an excellent low light lens with very shallow depth of field when used wide open so care must be taken when composing, focusing and taking the shot. It produces beautiful still & video images although I suspect that the Canon line of lenses are probably a bit sharper based on the images taken with my 24-70 mm Canon zoom (I do not have a Canon prime lens to compare). The aperture can be manually adjusted which is an advantage when making digital films with the 5DMII (there is no aperture ring on a Canon lens to allow manual adustment). 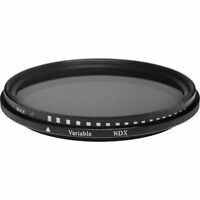 It's use requires some practice with manual focus (auto focus cannot be used with older Nikon lenses) but this was understood before the purchase and cannot be considered a negative.